Startup Launchpad Toys announced it was bought out by Google Wednesday. Terms of the deal weren't disclosed, and we only have the comment from Launchpad Toys' blog, "We’re proud to announce that our little toy company is pairing up with a great big team of tinkerers to empower GAJILLIONS of playful storytellers around the world," the San Francisco-based startup wrote. "Launchpad Toys is joining Google to create even more amazing creativity tools for kids." 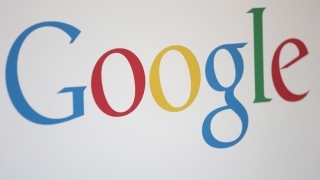 Google confirmed the acquisition but declined to comment on the announcement. Launchpad Toys is known for its popular app Toontastic that lets users make their own cartoons, as well as the "augmented reality" app TeleStory, according to CNET, but Toontastic is the powerhouse of the company and likely prompted Google's acquisition. The popular kids app is a smart move for Google which lacks any kid-friendly recognition, something it needs for new generations to keep using Google and its services. The good news is that Google has now Toontastic, a previously paid app, free to all users.